Check Out This Thing We Did! - Bone Up Brewing Co. Check Out This Thing We Did! Well hey there! If you've recently been past the coolest yet-to-open brewery on Norman Street in Everett, then odds are you've spotted the latest addition to Bone Up Headquarters. I'm not really sure why you would be going by there, unless you happen to really like looking at discarded pallets (and who doesn't! ), but that's beside the point for now. The point is: we got us some signage! 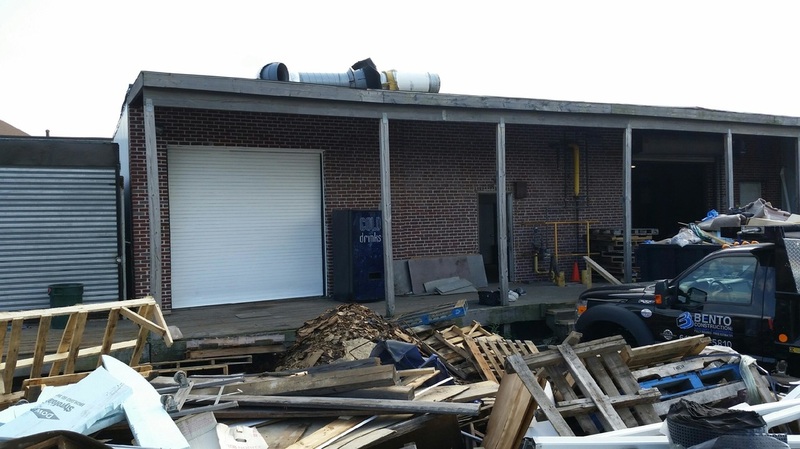 This should go without saying, but much like this here picture, the brewery itself is still a work in progress. We ain't open just yet but WE WILL BE SOON! Promise! View from the Great Trash Pile summit. Not bad, eh? And that's not all! Oh, wait. Yes it is. *Contrary to popular belief, his name is indeed Horatio Skellingham and not "Mister Winky Skeletonhead."